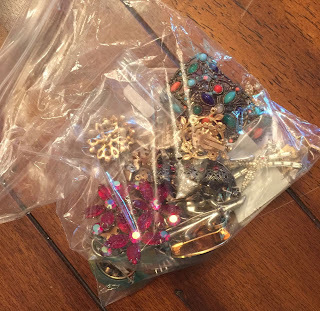 The other day, I ran across a bag full of vintage jewelry I had bought a few months ago at an estate sale. I must have been in a hurry that day, and shoved it in a drawer and sorta forgot about it. Upon re-discovery, I once again love these little trinkets! 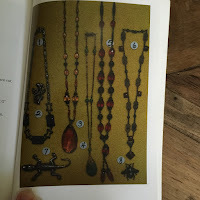 A few of the items were stamped with company names, as they sometimes are. 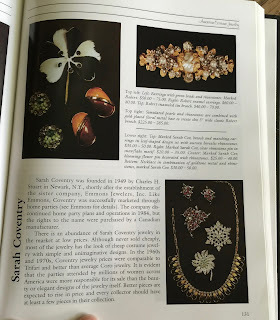 And as usual, I looked the unfamiliar names up online to see if I could find some information about their history and value. 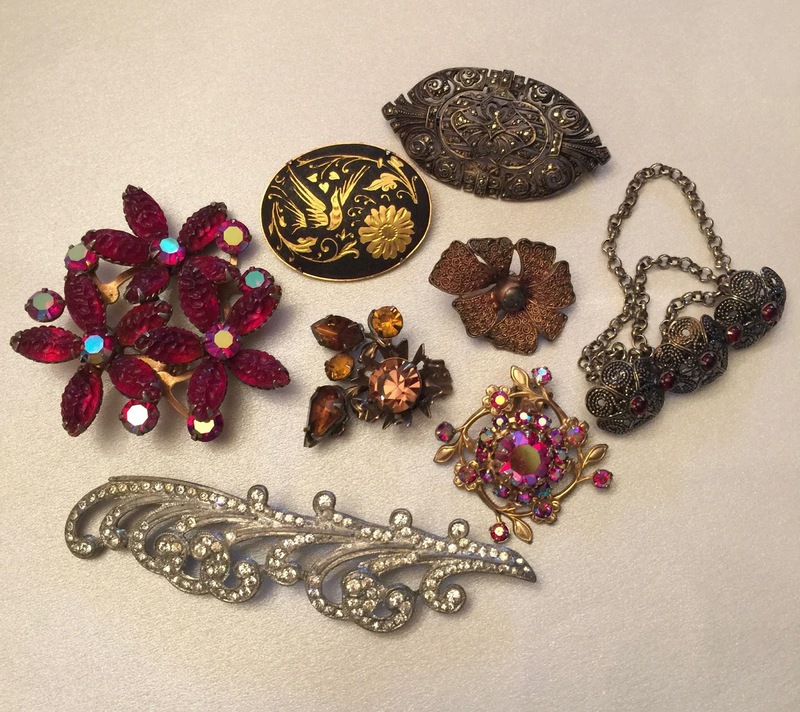 a few of the trinkets in that little baggy- ooh la la! The problem is,the information I find online is usually pretty limited, and I'm never really sure if the person writing the article is legit and knows what they're talking about. 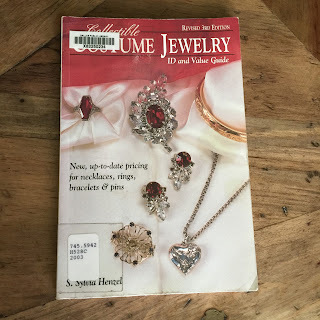 Although I have looked at some library books about vintage jewelry before, it's been awhile, so I felt like it was time to revisit. Luckily, I found a few books. One about identifying and pricing, and the other about how to best care for and restore older pieces of jewelry. I also checked Amazon and found a book that looked like it would educate me a little further about all this vintage jewelry I am so enchanted with. One of the books from the library ended up being a huge disappointment and the biggest waste of time. Let's just get this one out of the way first, and never mention it again. waste-of-time book. yuck. i hate this book. 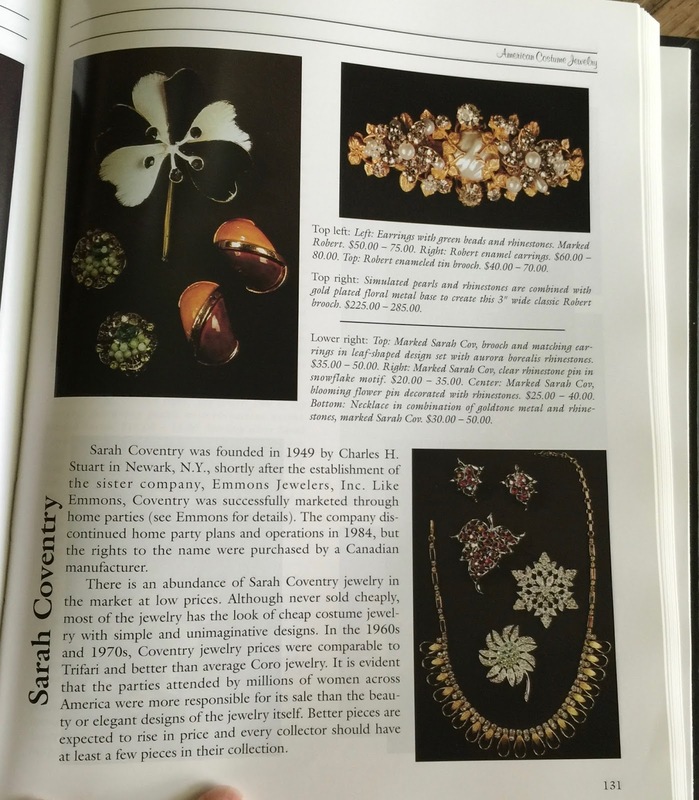 First of all, this tells you NOTHING about any of the jewelry in the book, other than it's cost, according to the author, as of 2003. 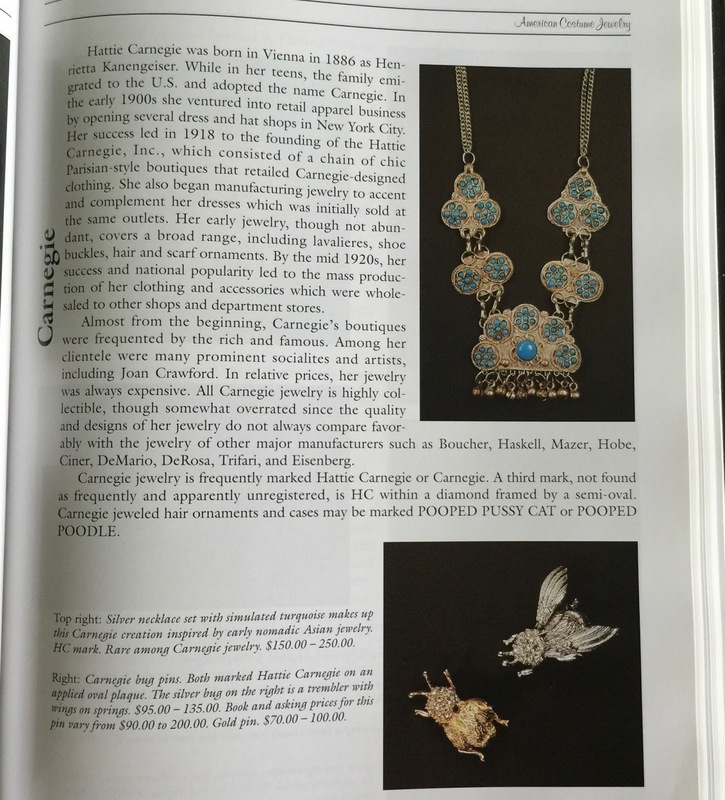 The company that made any piece isn't mentioned, the reason for it's value or lack there of, anything about the history of the piece... NOTHING. No helpful information whatsoever. 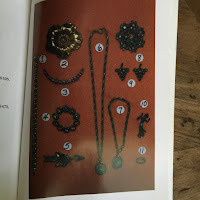 Secondly, the photographs were taken in bad lighting with a dark background, so it's impossible to see detail in any of the jewelry that made it in the book. See what I mean? What kind of camera and lighting were these people using back in 2003? And how did they even decide these prices were accurate? Based on what?!? Seriously, this stupid book made me furious. Let's never speak of it again. Let's just move on! The other book I checked out from the library I've checked out before, and found it very useful. I'm glad I'm looking over it again, because there seems to always be more to learn. 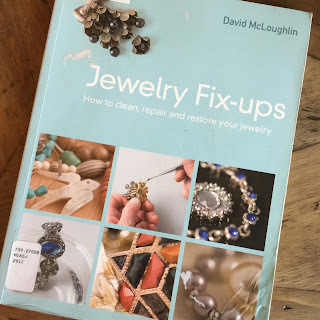 The book I ordered off of Amazon for around $6- including shipping- was exactly what I was hoping for. Yay! 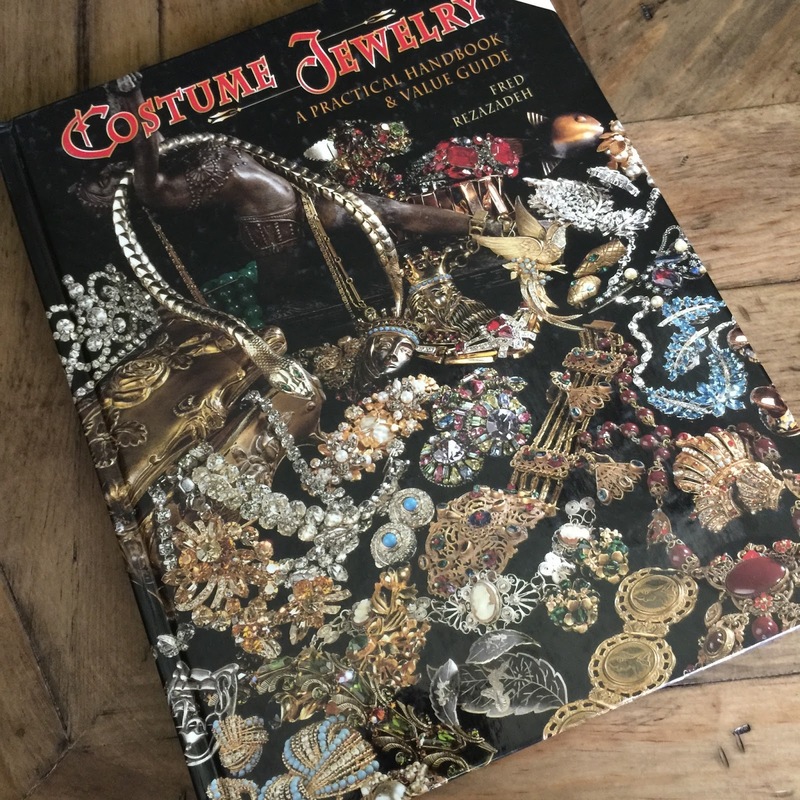 Although this book is several years old and the estimated pricing may or may not be accurate currently, there is great description on the companies that made the jewelry. It also gives some insight as to why certain things are so much more valuable than others. 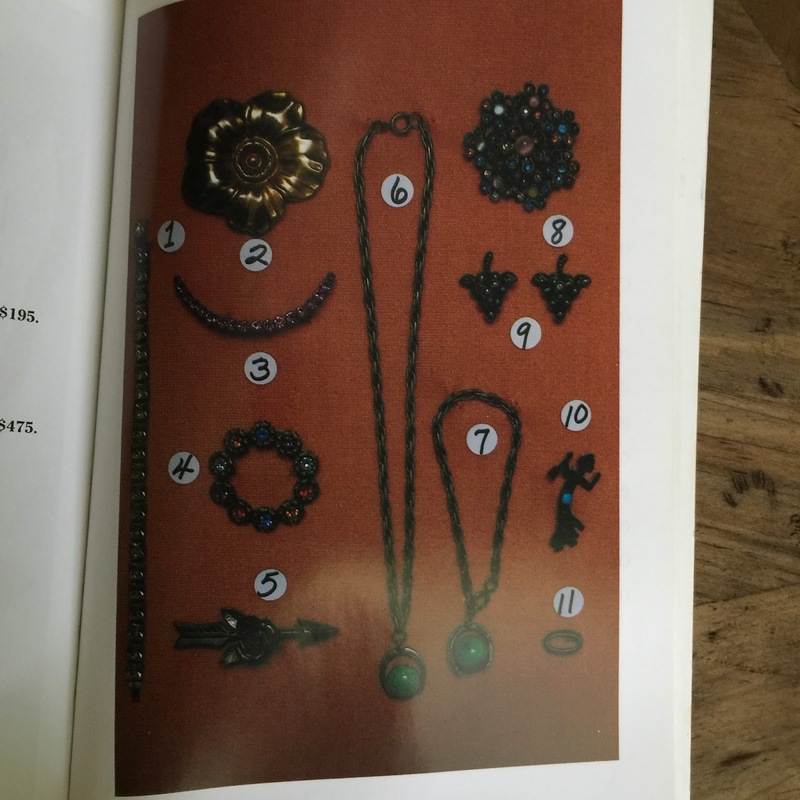 The pictures are so much better than the lame library book (the one we shall never speak of again) you can actually see the beautiful details. 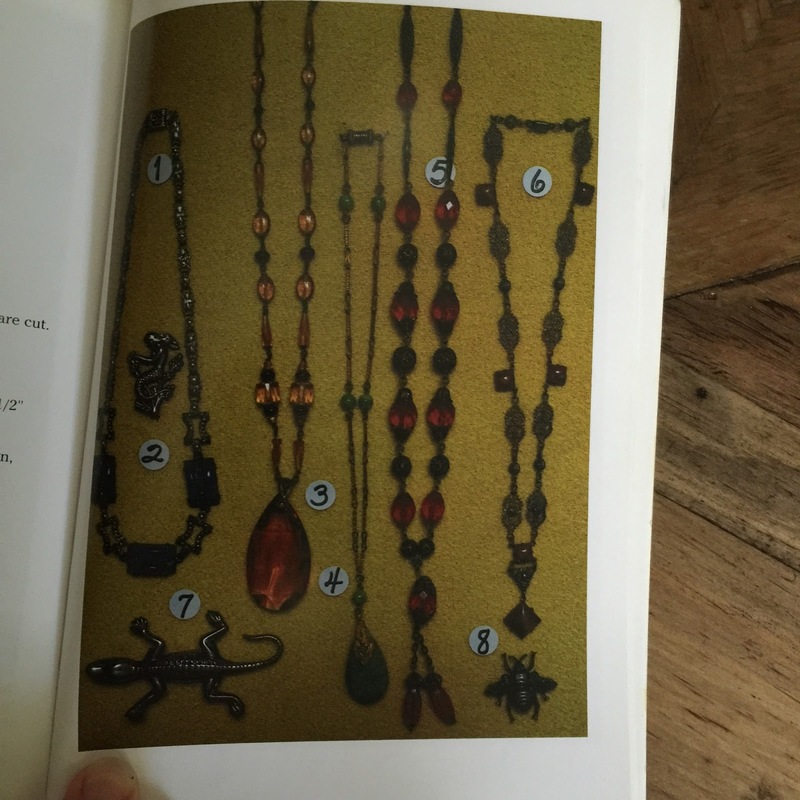 This surely will inspire me to pass along interesting and valuable information to buyers in my Resparkable Vintage shop. I think it will make for a better buying experience if people know a little more about what they're getting and why it's so special! And of course, it's all fun for me. Win/Win.